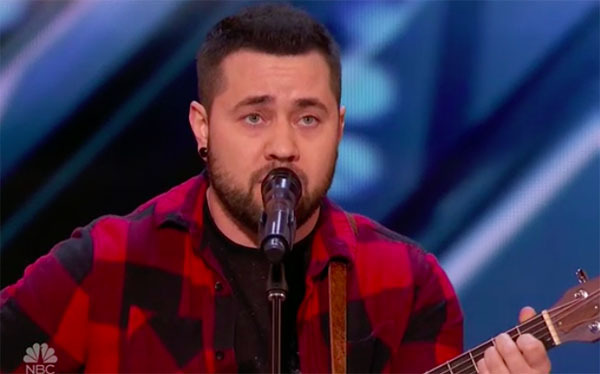 Transgender Brody Ray sings “Stand In The Light” by Jordan Smith on America’s Got Talent Season 13 Auditions Week 5 Episode on Tuesday, June 26, 2018. “It’s really an amazing story and inspirational. I think you are a great singer,” said Howie. “I think your soul comes out when you sing. Your voice is great,” said Mel B. “I think you are absolutely incredible. I love the tone of your voice,” said Heidi. “You got an amazing voice. I think you are an inspirational. You could be a fore to be recon with,” said Simon. Brody Ray gets four yeses from the judges and he is moving to the next round of the competition. What can you say about Brody Ray’s performance? Share your thoughts below.